Joy can be so big and so bold, and it can also be so quiet and graceful too. Tonight, we said goodbye to Aunt Nancy. It wasn’t expected that tonight would be the night. But it was. Like she somehow chose tonight to surprise us all, this, her last adventure. Nancy had many adventures, like living in the middle of the Pacific Ocean on a small island. Then marrying and mothering and teaching — but always learning. She taught us all so much, even me, an “outlaw” as they say. She was by my side after my own surgeries. She visited us on our own little island once too. Because Nancy was always up for an adventure. She was a teacher by trade. And, really, beyond the English and reading and writing, her mission in this life was to teach us so much more. She survived multiple cancers for over thirty years. But she never let it define her. Or stop her. Even up to tonight. I have a sense that Nancy arranged her last adventure in just her own special way. Surrounded by people who love her, holding her hand, and whispering in her ear. Thank you, Nancy. 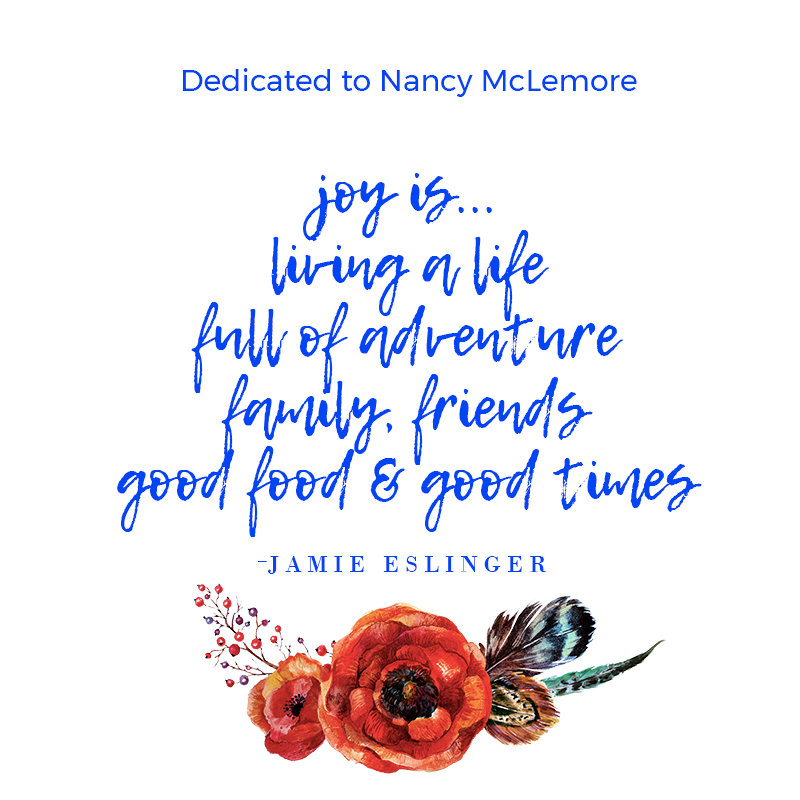 For showing us that joy is living life full of adventure, family, friends, good food and good times. And always holding the last card in your hand. We love you – joyful one.